SHIPPENVILLE, Pa. – Let’s all just admit it once and for all: the months around the holiday season are stressful. You jump from Thanksgiving to Christmas to New Years to Valentine’s Day – AH! 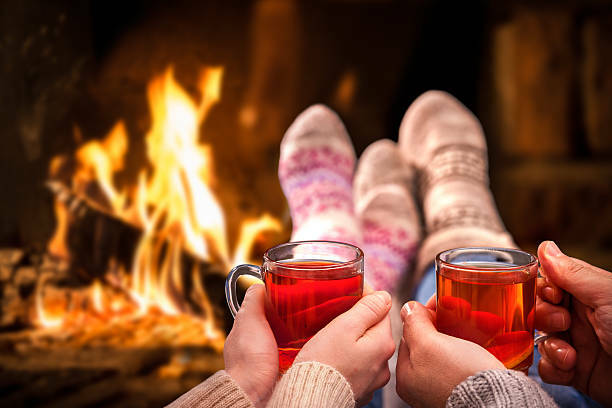 With all of the planning, traveling, and socializing, there is barely time to squeeze in a second to enjoy the cozy winter months with your partner. Taking a spontaneous, romantic getaway is the perfect way to keep the flame alive in the cold winter months. No matter how long you’ve been together, there is nothing more exciting than your partner announcing that they’ve made plans for the two of you as a surprise! Planning surprises can be difficult, especially if you have kids or a hectic work schedule, so staying close to home can be the perfect way to cut down travel time and ensure you stay as little (or as long!) as you can. You will be surprised at how rejuvenated you feel after a quick weekend getaway! Minimizing the travel time also means you can maximize the time doing all of the fun things you want to during the trip. Let’s be real – no matter how much you love them, there’s only so many times you can listen to your partner’s favorite album in the car. Have you ever seen your partner fall face-first into the snow while trying to snowshoe for the first time? As long as you don’t laugh at them too hard, you’ll be making memories you won’t forget for a lifetime. It might seem like there is not a lot to do in the winter months, but there are opportunities to try new things from bottling your own wine to checking out a museum you’ve never been to. And after epically failing at the new winter sport you both are starting to love, you can warm up by the fireplace in your room and in your therapeutic two-person hot-tub. Maybe your partner had some wine, and is now doing your favorite dorky dance of theirs to the live music act you’re seeing – snap a pic! Did they wake up with some crazy bed-head? Perfect chance to take a selfie you two will laugh at together for months to come. In all seriousness, having pictures of a relaxed and fun time the two of you shared can make you smile on even your worst days. Capture every moment you can. If you two tried a bottle of wine together that you loved, take the bottle home if you can, save the cork, or buy a few bottles to break open on your next special occasion! If you both discovered a newfound passion for cross-country skiing, buy your partner a cute pair of mittens to remember the first time you went together. Is there a gift shop in the B&B you’re staying at? Perfect! Sneak down while your partner is showering and grab something small to surprise them with. These little gestures can go a long way. Plus, who says gift giving has to be limited to Christmas?! Does your wife love to eat M&Ms before bed? Grab a pack next time you go to the store and throw it in her bag as a sweet surprise. Does your hubby have a favorite shaving cream that’s a bit of a splurge? Go the extra mile and pick it up for him, and stash it in his bag right before you leave. He is guaranteed to have a little extra pep in his step when he cleans up before your dinner date, and he will love you all the more for it. It also doesn’t hurt to call the B&B you’re staying at to see if they offer any romance packages that include a little extra for lovebirds. The look on your partner’s face when they walk into a room filled with flowers and chocolate will make that extra effort worth it. Taking a romantic getaway is the best way to relax and rekindle during the hectic winter months, and the perfect way to show appreciation for your partner. So, what are you waiting for? Make your partner smile today with plans for a cozy winter getaway.